Got there, sign-ed up! Ready to action! Can you see our sign up sheet? and here's the prize that all of us wanna get our hands on! 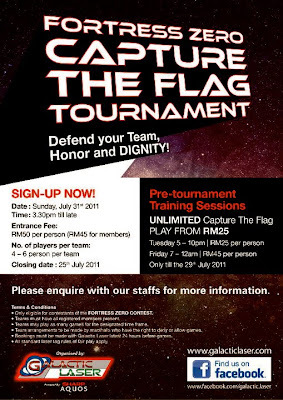 So after signing up and all.... it's time for some briefing regarding the tournaments..
Havent got the chance to try laser tagging yet but sure does look interesting and less messier than paintballing.